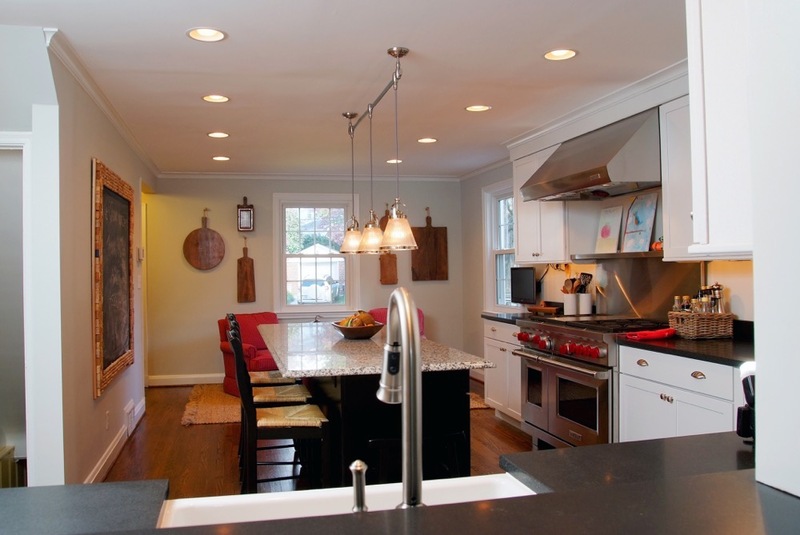 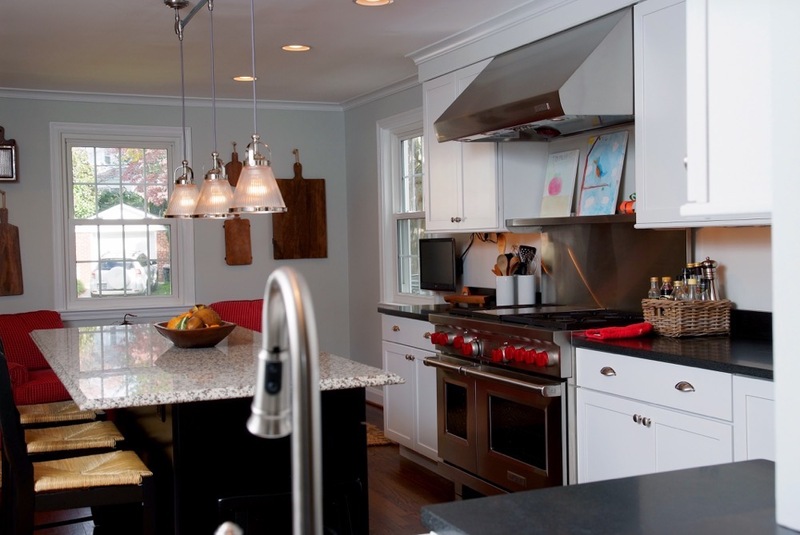 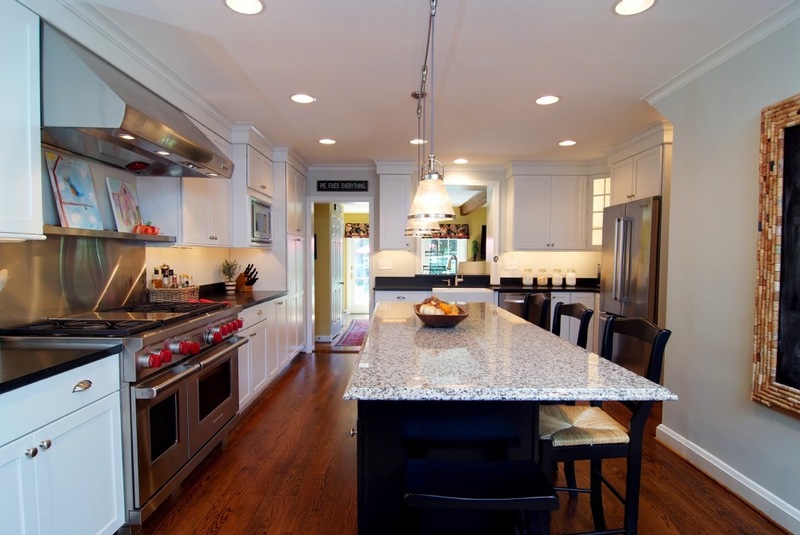 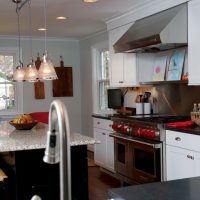 This galley kitchen replaced the previous dining and kitchen area. 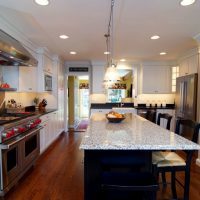 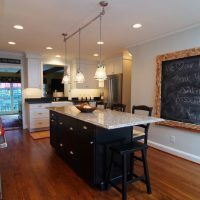 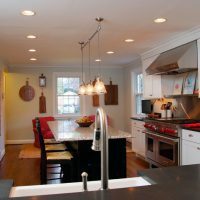 With the removal of the dividing wall and some creative structural framing we were able to open up the room and for an expansive comfortable kitchen. 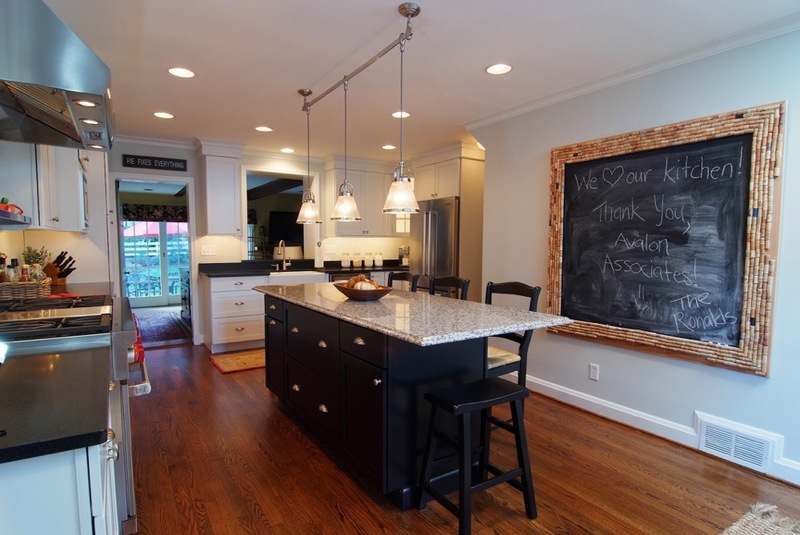 This created a great space for entertaining and eased the flow of traffic for large parties.